THE RIGHT FABRICS CAN DRAMATICALLY CHANGE THE LOOK AND FEEL OF YOUR SPACE! 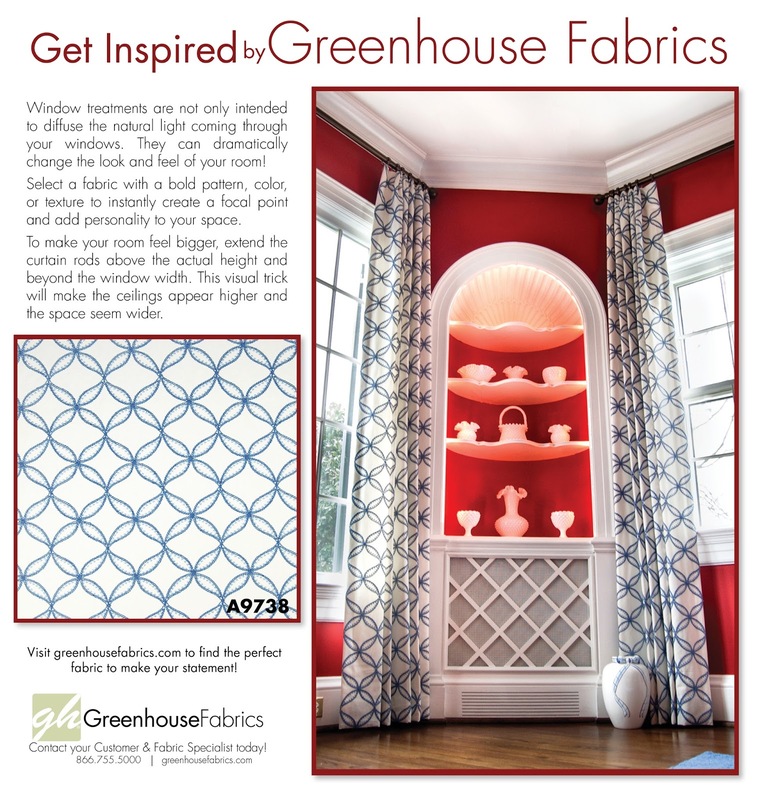 Visit greenhousefabrics.com to find the perfect fabric to make your statement! Contact your customer & fabric specialist today for assistance in selecting window treatment fabrics! Greenhouse Fabrics has over 10,000 fabrics to choose from!